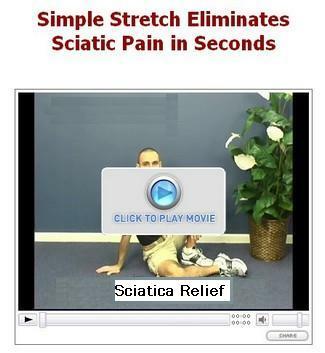 A muscle imbalance involving the piriformis muscle is a factor in many cases of sciatica. 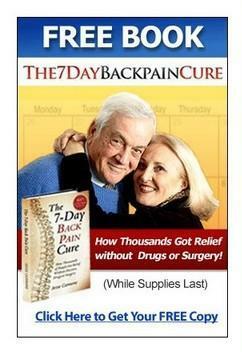 It causes pressure to be placed on the sciatic nerve. Such imbalances can develop through a traumatic event, or through lifestyle, especially because of factors such as lack of exercise, sitting too long, poor posture or even over strengthening one muscle group while ignoring the opposing muscle set. Incorrect sitting can put stress on the piriformis muscle which causes it to go into spasm. Inflammation develops, the piriformis muscle puts pressure on the sciatic nerve and the result is pain. Most people with sciatica will minimize physical activity to break the pain-spasm cycle and, in most cases, the symptoms will subside. However, if the muscles of the hips do not return to balance in terms of both strength and flexibility, the sciatic pain has a good chance of returning. We need to understand that sciatic pain comes - in most cases - as a result of lifestyle and habits. If opposing skeletal muscles are not properly balanced the joints and surrounding muscles tend to become stiff and have problems. Think of the tires on your car - they need to be balanced when installed. Symptoms of an imbalance include muscles that are short, tight, contracted and are unable to relax to allow proper movement. The tightness can lead to painful spasms. The causes of imbalances of muscle groups include age, repetitive motion or bending, too much, too little or unbalanced exercise, and injury. If your muscles are out of balance they pull your bones and joints out of their normal position and causing stress and uneven pressure. A good place to think of imbalanced muscles is the paired quadriceps and hamstrings - the largest muscles in your legs. When you move your leg forward, the quadriceps (front of your thigh) shortens to move the femur (upper leg bone) upward. As it shortens, the muscle on the back of your thigh that attaches your knee to your buttocks (the hamstring) has to relax to allow the movement. When balanced in strength, these muscles keep the knee functioning properly. However, for most people, the quadriceps is disproportionately stronger that the hamstrings. This is especially true in, for instance, competitive cyclists or in certain types of weight lifters. Hip position and spinal curvature are determined by numerous muscles. From sitting too much to overdoing it in sports, if your muscles are chronically out of balance, you're in trouble. 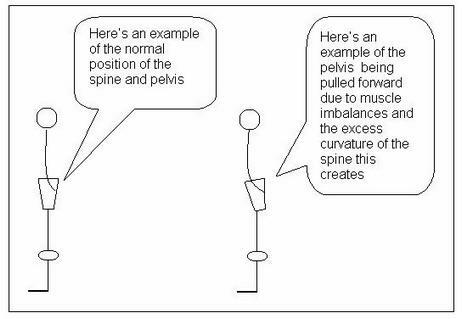 Here is an illustration of excess spinal curvature which again can result from muscle imbalances. The piriformis muscle turns your leg so that you feet point outward (external rotation). If you sit with your legs separated and your feet pointing outward, your piriformis muscle is in a shortened position. If the sitting is prolonged and there is a lack of exercise, it gets tight and weak. For more details specifically about the piriformis muscle and its connection to sciatica read the page Sciatica Piriformis Syndrome.